Bridgeworth, LLC is a Registered Investment Adviser. Advisory services are only offered to clients or prospective clients where Bridgeworth, LLC and its representatives are properly licensed or exempt from licensure. This website is solely for informational purposes. Site users should not construe any portion of our website as a solicitation to purchase or sell securities or an attempt to render personalized investment advice. 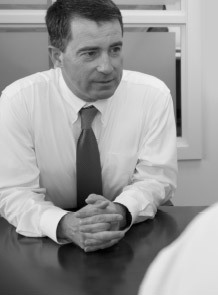 No advice may be rendered by Bridgeworth, LLC unless a client service agreement is in place. Past performance is no guarantee of future returns. Investing involves risk and possible loss of principal capital. This site may contain links to other sites. When you link to any of the websites or posts provided herein, you are leaving this site. Please be aware that we are not responsible for the privacy practices or content of such other sites. We encourage our users to be aware that when they leave our site they should read the privacy statements of external websites that collect personally identifiable information. This privacy statement applies solely to information collected by this website. We make no representation as to the completeness or accuracy of information provided at these sites, nor are we liable for any direct or indirect technical or system issues or any consequences arising out of your access to or use of third-party technologies, sites, information and/or programs made available through this site. When you access one of these sites, you are leaving our website and assume total responsibility and risk for your use of the sites you are linking to. Information and opinions on this site provided by third parties have been obtained from sources believed to be reliable, but accuracy and completeness cannot be guaranteed. It is given for informational purposes only and is not a solicitation to buy or sell any products or services offered. The information is not intended to be used as the primary basis for investment decisions, nor should it be considered as advice of professionals, as appropriate, regarding the evaluation of any specific information, opinion, advice or other content. This site does not make any warranties or representations, express or implied, about the information provided on or accessed through our site. In particular it does not warrant or represent that the information is accurate, up-to-date, comprehensive, verified or complete. Our site does not accept liability for any error, omission or delay in the information or for any reliance placed by any person on the information. Our site shall not be liable for any claims or losses of any nature, arising indirectly or directly from use of the information on or accessed through the Site. You acknowledge that the information is not provided as the basis of any professional advice or for transactional use. Bridgeworth, LLC shall not be responsible or liable for any investment decisions or trading or any other actions taken by you or by third parties based on information contained in this site without an advisory agreement in place. If you have any questions about our privacy statement, disclosures or the practices of this site, please contact Donna Byrne at [email protected].